Information on how to enter the Promotion forms part of these Terms and Conditions. Customers who participate in this promotion agree to these Terms and Conditions. The Q1 Promotion commences at 8:00 am AEDST on 1st February 2019 and closes at 11.59 pm AEDST on 31st March 2019 (“Promotion Period”). Entries for the Q1 promotional period will be accepted online until 14th April 2019. The Q2 Promotion commences at 8:00 am AEDST on 1st April 2019 and closes at 11.59 pm AEDST on 31st May 2019 (“Promotion Period”). Entries for the Q4 promotional period will be accepted online until 14th June 2019. The Promoter is STANLEY BLACK & DECKER AUSTRALIA PTY LTD ABN 82 000 021 938, (“Promoter”) of 810 Whitehorse Road, Box Hill, VIC 3128 AUSTRALIA. Employees (and their immediate families) of the promoter, resellers and agencies associated with this promotion are ineligible to enter. Immediate family means any of the following: spouse, ex-spouse, de-facto spouse, child or step-child (whether natural or by adoption), parent, step-parent, grandparent, step-grandparent, uncle, aunt, niece, nephew, brother, sister, step-brother, step-sister or 1st cousin. The Promoter may, for an indefinite period, unless otherwise advised, use the information for promotional, marketing, publicity, research and profiling purposes, including sending electronic messages or telephoning the Eligible Entrant and/or its authorised representative. Entrants should direct any request to opt out, access, update or correct information to the Promoter. Participation in the promotion restricted to Australian residents aged 18 years or over who during the promotion period purchase and redeem products outlined in clause 8. Offers are strictly available to individual consumers purchasing the outlined products directly from a DEWALT stockist. The promotion is not available in conjunction with commercial tenders or bulk orders. Resellers are not eligible to claim on behalf of 3rd party customers. Any one individual may make a maximum of five (5) redemptions during the redemption purchase period. The purchase and redemption products for this promotional period are listed on the redemption site www.guaranteedtough.com.au. The Promoter reserves the right to verify the validity of each claim. The Promoter reserves the right to disqualify any person for tampering with the claim process. Further, any contact details provided incorrectly over the Internet or telephone may be deemed by the Promoter as an invalid claim. 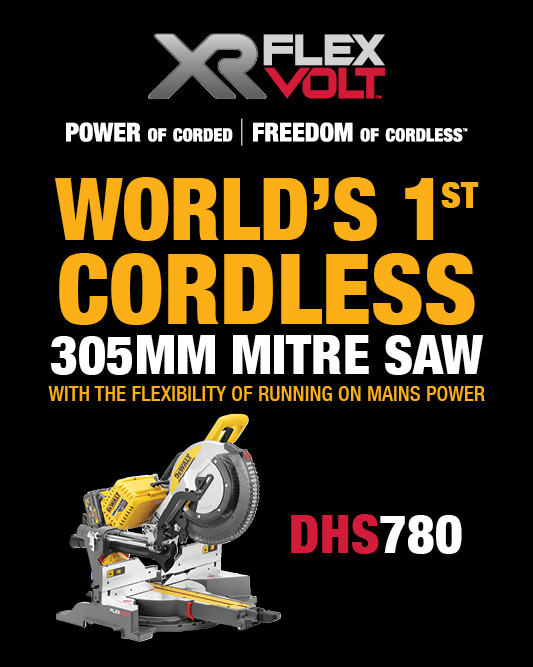 Make a Qualifying Purchase from any DEWALT stockist. Visit the Promoter’s website: www.guaranteedtough.com.au and fully complete the online redemption form including provide all requested information. The original purchase receipt(s). Proof of purchase is a strict condition / requirement for redemption. The Promoter may require entrants to provide these and/or information regarding the circumstances of Product purchases to the Promoter or its agent as part of the entry verification process. Failure to provide these to the Promoter’s satisfaction will result in an invalid entry (and, at the Promoter’s discretion, in all of the entrant’s entries being invalid). Entries may only be submitted online and in the correct form provided for at the website and will not be accepted by the Promoter in any other form. Entries must be received by the Promoter for the Q2 Promotion Period of 01/04/2018 to 30/06/2018 by 14/07/2018.Entries must be received by the Promoter for the Q3 Promotion Period of 01/07/2018 to 30/09/2018 by 14/10/2018. The Promoter accepts no responsibility for late, lost, incomplete, incorrectly submitted, delayed, illegible, corrupted or misdirected entries, claims or correspondence, whether due to error, omission, alteration, tampering, deletion, theft, destruction, transmission interruption, communications failure or otherwise. The Promoter has no control over mobile telephone or internet communications, networks or lines and accepts no responsibility for any problems associated with them, whether due to traffic congestion, technical malfunction or otherwise. The Promoter is not liable for any consequences of user error including (without limitation) costs incurred. Multiple entries are permitted to a maximum of five (5) claims per customer, however, claims must be submitted individually through the website www.guaranteedtough.com.au. If an entrant is unable to provide proof of purchase for all entries, then all the entries of that entrant will be deemed invalid. Sharing receipt / invoice numbers is not allowed. If the Promoter reasonably believes that an entry has been made on this basis, the Promoter will invalidate all entries affected. Delivery may take up to 45 working days from receipt of entry. This offer cannot be used in conjunction with any other offer. If any redemption is unavailable, the Promoter, in its discretion, reserves the right to substitute the prize with a prize to the equal value and/or specification. Winners will not be entitled to any additional compensation in the event that the prize or element of a prize has been substituted at equal or greater value. Redemption offers or parts of the prize are not transferable or exchangeable and cannot be taken as cash. If this promotion is interfered with in any way or is not capable of being conducted as reasonably anticipated due to any reason beyond the reasonable control of the Promoter, including but not limited to technical difficulties, weather, site issues, unauthorised intervention or fraud, the Promoter reserves the right, in its sole discretion, to the fullest extent permitted by law (a) to disqualify any Eligible Businesses and/or its authorised representative; or (b) subject to any written directions from a regulatory authority, to modify, suspend, terminate or cancel the promotion, as appropriate. Nothing in these Terms and Conditions limits, excludes or modifies or purports to limit, exclude or modify the statutory consumer guarantees as provided under the Competition and Consumer Act, as well as any other implied warranties under the ASIC Act or similar consumer protection laws in the States and Territories of Australia and in New Zealand that are incapable of being excluded (“Non-Excludable Guarantees”). Except for any liability that cannot by law be excluded, including the Non-Excludable Guarantees, the Promoter (including its respective officers, employees and agents) excludes all liability (including negligence), for any personal injury; or any loss or damage (including loss of opportunity); whether direct, indirect, special or consequential, arising in any way out of the promotion. Except for any liability that cannot by law be excluded, including the Non-Excludable Guarantees, the Promoter (including its respective officers, employees and agents) is not responsible for and excludes all liability (including negligence), for any personal injury; or any loss or damage (including loss of opportunity); whether direct, indirect, special or consequential, arising in any way out of: (a) any technical difficulties or equipment malfunction (whether or not under the Promoter’s control); (b) any theft, unauthorised access or third party interference; (c) any entry or prize claim that is late, lost, altered, damaged or misdirected (whether or not after their receipt by the Promoter) due to any reason beyond the reasonable control of the Promoter; (d) any tax liability incurred by a winning entrant; or (e) use/taking of a prize. The Promoter collects personal information of Entrants in order to conduct the promotion and may, for this purpose, disclose such information to third parties, including but not limited to agents, contractors, service providers, and prize suppliers and, as required, to Australian regulatory authorities. Entry is conditional on providing this information. The Promoter may, for an indefinite period, unless otherwise advised, use the information for promotional, marketing, publicity, research and profiling purposes, including sending electronic messages or telephoning the Eligible Entrant and/or its authorised representative. Entrants should direct any request to opt out, access, update or correct information to the Promoter. All entries become the property of the Promoter. Terms & Conditions Apply. Proof of purchase is required. Q1 Promotional offers apply for purchases made during the Period of 1st February 2019 – 31st March 2019. Q2 Promotional offers apply for purchases made during the Period of 1st April 2019 – 31st May 2019. Entries open online until 14 days after the promotional period ends for purchases during the promotional period. Redemption offers only available to individual consumers purchasing products directly from a DEWALT stockist in store or online. Promotion not available in conjunction with commercial tenders or bulk orders. Resellers are not eligible to claim on behalf of 3rd party customers. www.guaranteedtough.com.au/privacy-policy/. Promoter: Stanley Black & Decker Australia Pty Ltd (ABN 82 000 021 938) of 810 Whitehorse Road, Box Hill VIC 3128; NSW Permit No. LTPS/18/30438. ACT Permit No. TP 18/02396. SA Permit No. T18/2153. Full Terms: see guaranteedtough.com.au. Offer valid for DEWALT ScrewBolt Bulk Pack purchases only from 8:00 am AEDST on 7th JANUARY 2019 to 11.59 pm AEDST on 31st MARCH 2019 (“Promotion Period”) OR until the MAXIMUM OF 300 available REDEMPTIONS have been claimed. In the event all 300 Redemptions are claimed prior to the official promotional closure date the promotion will cease at midnight from that date. Entries for the Q1 FASTENING REDEMPTION period will be accepted online until 15th APRIL 2019 if redemption items have not been exhausted by 31st March 2019. Not available in conjunction with any other offer.